Ready for an epic road trip driving in Iceland? Renting a car is the best way to experience this beautiful country. But there are a few things you should know before you head out. 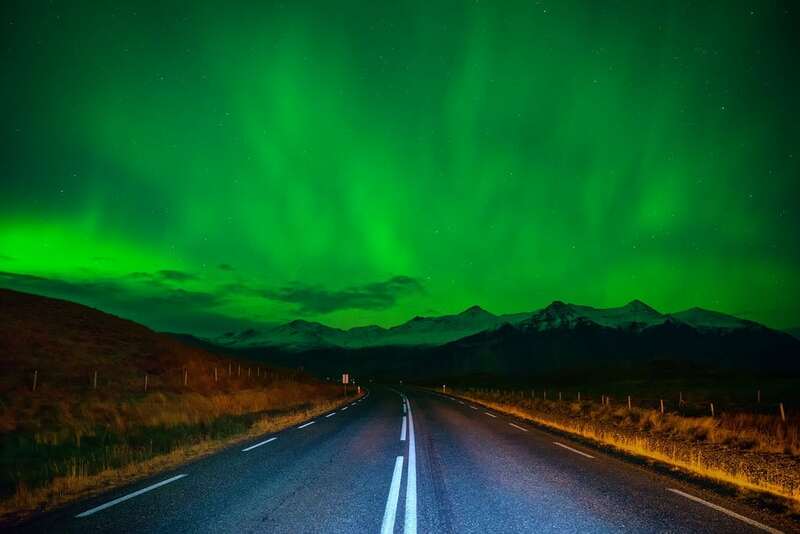 So you’ve embraced your inner Leif Erikson, and you’re finally planning a road trip to Iceland! Driving in Iceland around the famous Ring Road and the Golden Circle has been one of my favorite adventures after 9 years of travel and visiting 50+ countries. Iceland will always have a special place in my heart. 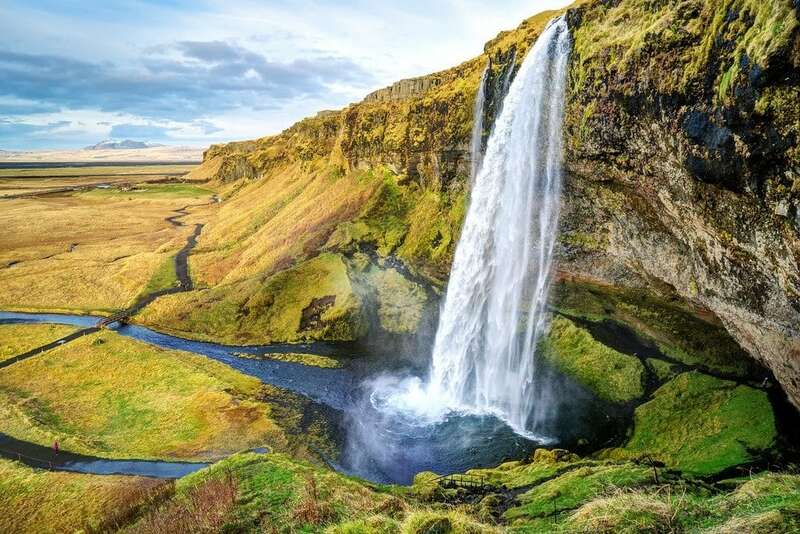 Renting a car and self-driving in Iceland on your own is the best way to experience this stunning country, as it truly gives you the freedom to stop at every waterfall, volcano, hot-spring, and glacier along the way. Here are some important tips I learned about driving in Iceland, so you’re ready to hit the road and explore the land of fire and ice on a vacation you’ll never forget. Should You Drive In Iceland? 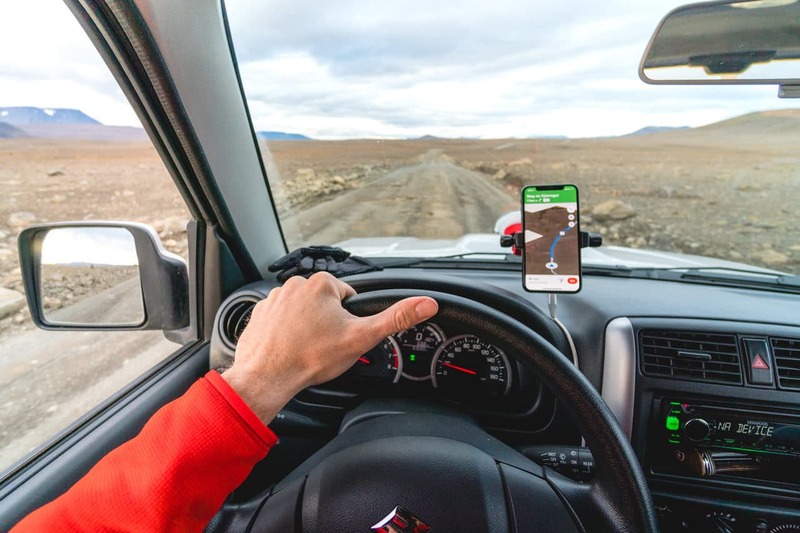 Do You Need GPS Driving In Iceland? Have Fun Driving In Iceland! Hey, if you’re a fan of big group bus tours, by all means, go book one. It’s a good way to see a country if you don’t have a lot of time. But if you’re like me, you prefer the adventure of independent travel. True exploration, with no set schedule or timetable. Driving around Iceland with the freedom to stop anywhere interesting you find on your road trip. 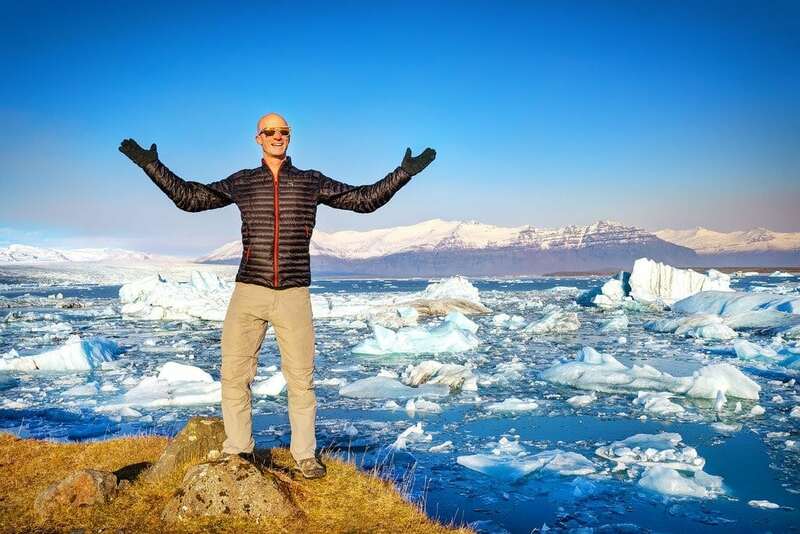 If that’s the kind of traveler you are, renting a car and self-driving Iceland is the way to go! And driving in Iceland is a lot easier than you might think. While there are some special things to keep aware of, don’t be scared of driving there. The best site to book your car is with Discover Car Hire. They search both local and international car rental companies to help you find the best possible price. 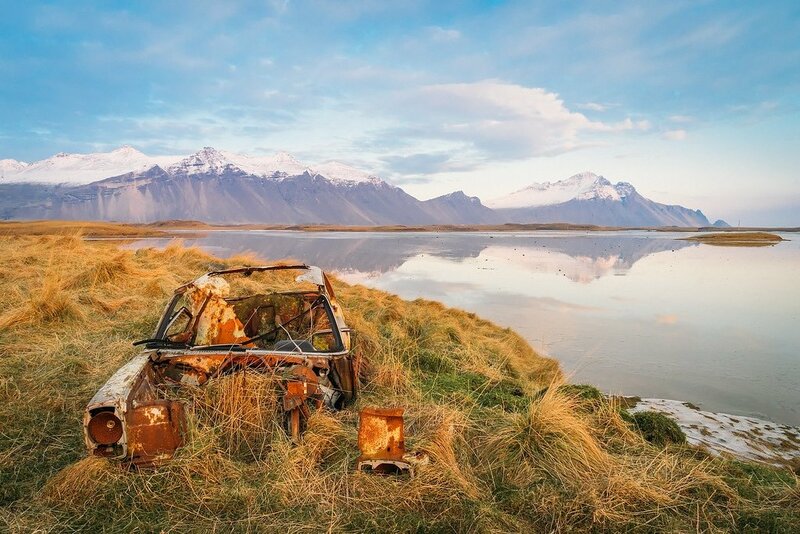 This is the easiest way to rent a car in Iceland. I’ve also used and been very happy with Happy Campers. They rent fully-equipped campervans with a bed, kitchen, space heater, and everything you’d need for your road trip. 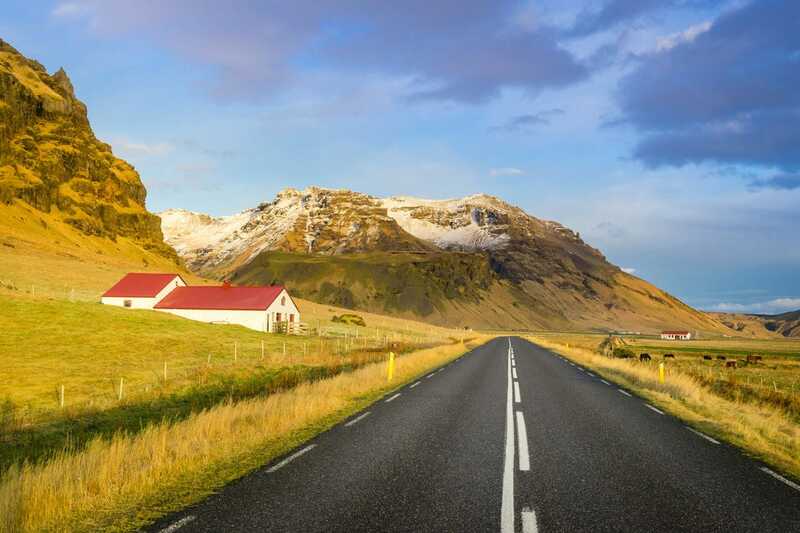 Renting your car from Keflavík International Airport is the most obvious choice, as that’s where most people land to start their Icelandic road trip. The airport is about 40 minutes away from Reykjavik city. However you can also rent cars from the heart of Reykjavik if you decide to take a bus or shuttle into the city for a few days of exploring first. Luckily if you’re from the United States, driving in Iceland will feel familiar because you drive on the right side of the road and overtake on the left — just like home. The steering wheel is on the same side too! 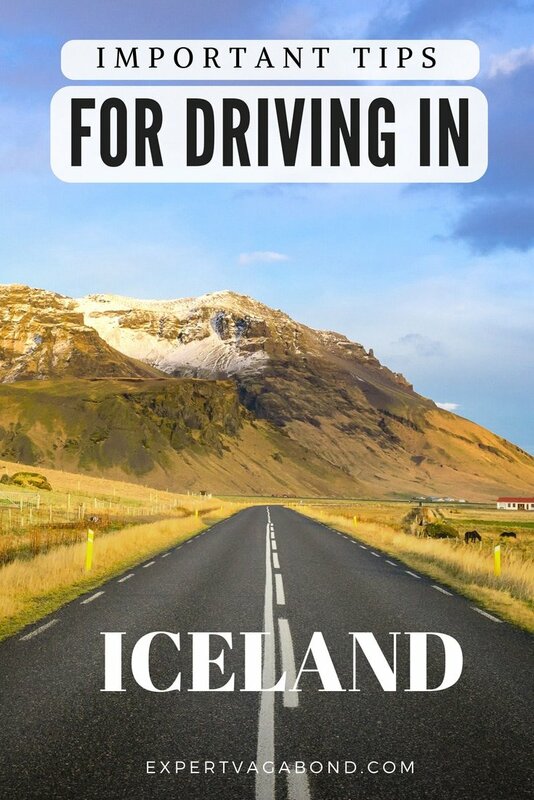 No, you do not need an international driver’s license to drive in Iceland or rent a car there. Just bring your passport, credit card, and your driver’s license from your home country. With the variety of landforms and terrain in Iceland, you’ve got to think about the type of trip you want to have. Do you want to carve your way across the Icelandic highlands like a Nordic explorer? Or do you plan on having a more relaxed and comfortable drive around the island? This will determine the roads you’ll encounter and the vehicle you’ll need. You can see some of Iceland’s most popular destinations driving around the Ring Road (Route 1). This mostly paved road runs a giant circle around the outer rim of the island through many towns, including the capital of Reykjavik. There are some remote sections with gravel, but a 2-wheel-drive vehicle will get the job done. Speed limits average 90 kilometers per hour (56 mph) on these roads. While you can technically drive around the whole country non-stop in about 17 hours, in practice you’ll want to spend at least 7-10 days traveling this route. You can choose a 2WD vehicle for driving the Golden Circle, too. This shorter route is a great day trip from Reykjavik if you don’t have much time (like during a layover). USEFUL TIP: Planning to drive around Iceland’s ring road? Make sure to stop at Jokulsarlon glacial lagoon to see the incredible icebergs! Did you know that 54% of Icelanders believe in elves or the possibility they exist? If you want to search for them, you’ll find them near the F-roads. These specially designated dirt and gravel mountain roads wind through Iceland’s rugged interior highlands. It is strongly advised that people travel in groups of 2 or more cars for safety should a breakdown occur, just like remote jeep trails in the United States. The rocky, muddy conditions are more treacherous than other gravel roads. You can travel for miles without seeing any other cars. 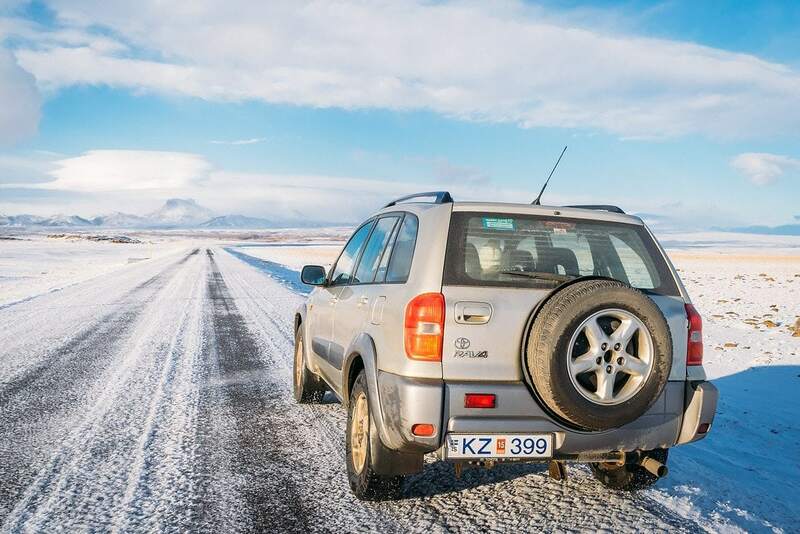 Iceland’s F-roads require a 4-wheel-drive rental car. They also require your full attention. Some F-Roads can get quite rough, with glacial river crossings. USEFUL TIP: F-Road doesn’t mean off-road. Driving completely off marked roads in Iceland is illegal and can damage your rental and the environment. 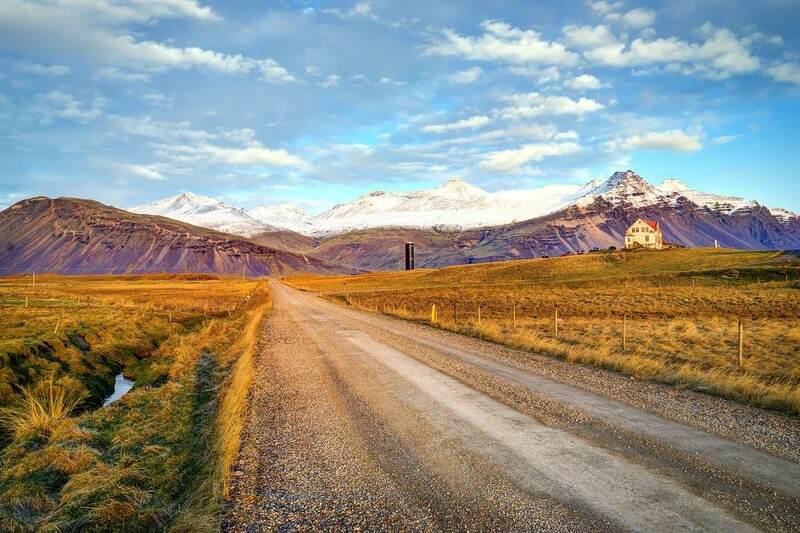 These are dirt roads that often lead to farms and private homes off the main paved roads in Iceland. They are better maintained than the F-Roads, don’t require a 4X4 in the summer, but aren’t plowed as frequently as paved roads in the winter time. If you can’t drive manual stick shifts, double check that you’re actually renting an automatic vehicle because most rental cars in Iceland are manual. The type of vehicle you’ll need depends largely on the season, weather conditions, and road type. Small 2WD cars are the most affordable, and perfectly suitable for day trips around Reykjavik and the popular paved roads that run around Iceland (like the Golden Circle and Ring Road). All 2WD rental cars in Iceland are equipped with studded tires during the winter season to help with traction on ice too. HOW MUCH DOES IT COST? – Renting a small car in Iceland is going to cost between $40 – $100 USD per day (4200 ISK to 10,600 ISK) depending on the model/season. 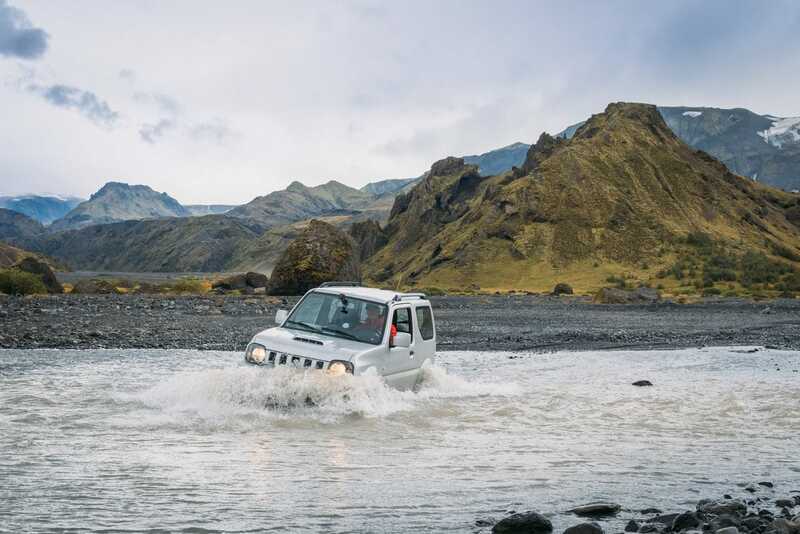 The affordable 4×4 Suzuki Jimny, or a more expensive Land Rover is perfect for Iceland’s rugged F-Roads. If you plan to explore Iceland’s back roads at any point, you’ll want one of these four-wheel drive bad boys. HOW MUCH DOES IT COST? – Renting a 4X4 SUV in Iceland is going to cost between $100 – $250 USD per day (10,600 ISK – 26,500 ISK). A fancy Land Rover or Super Jeep will set you back $400+ per day. Transportation? Check. Accommodation? Check. Home-cooked meals? Fire up the grill, baby! This is the way to attack a serious Icelandic road trip in comfort. Plus, you’ll avoid spending cash on Iceland’s notoriously expensive accommodation and restaurant meals. 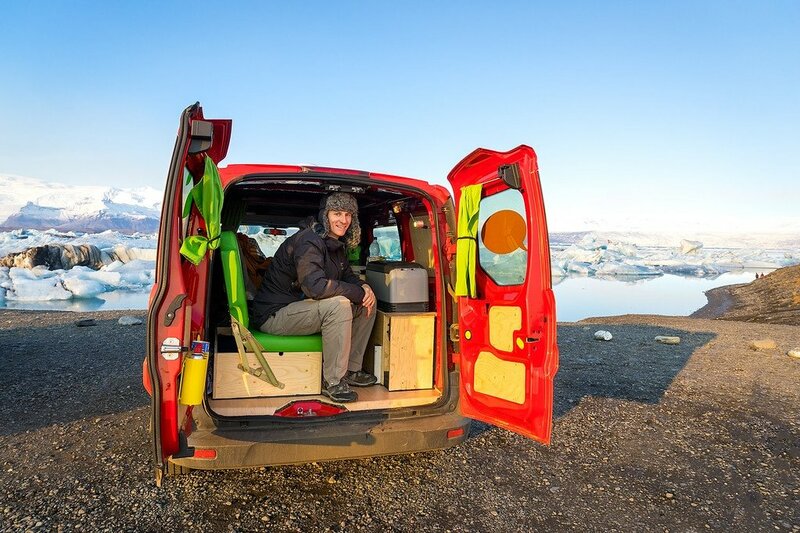 Campervans come in both 2WD and 4WD varieties, which is especially important for driving Iceland in the winter. HOW MUCH DOES IT COST? – Renting a campervan in Iceland is going to cost between $140 – $250 USD per day (14,800 ISK to 26,500 ISK) depending on the model/season. 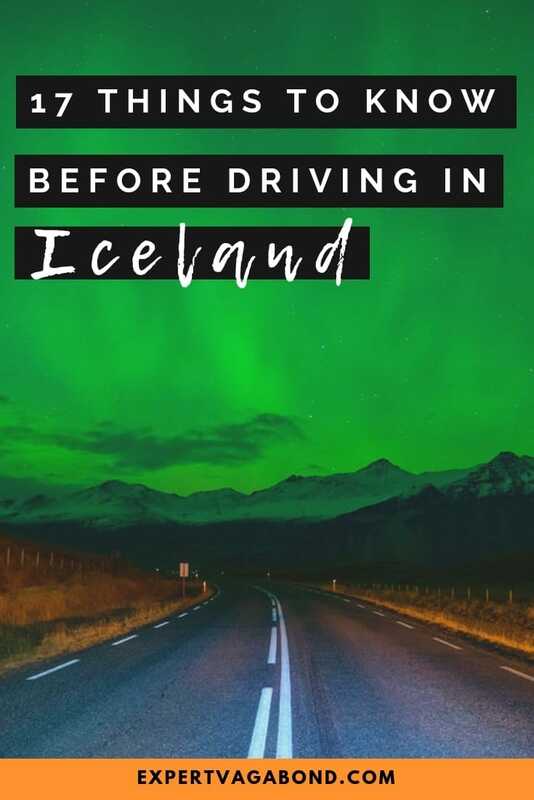 Driving in Iceland can result in some pretty harsh conditions that many people aren’t prepared for — so I always recommend getting the extra car insurance options available to you. Car rental companies typically offer various levels of a Collision Damage Waiver (CDW), which isn’t exactly insurance. Instead, it means the rental company won’t charge you over a predetermined limit if you drop off the rental car with damage. But this limit still tends to be upwards of $1750 for the basic CDW, and companies in Iceland are more likely to inspect every inch of your vehicle. The basic CDW comes free with every rental. With most companies, an additional daily fee (about $10 and up) allows you to upgrade to Super CDW (SCDW), Grand CDW, and even Premium CDW. This lowers the amount you’ll be liable for in the end should damage occur to the vehicle. Gravel Protection – Gravel roads abound in Iceland. There’s a risk of other drivers spraying rocks at your vehicle as they drive by, so it makes sense to grab this one for a few extra bucks a day. Sandstorm & Ash Protection – Yup, you read that correctly! High winds can blast your car with volcanic ash and sand, causing extensive damage to the rental vehicle. Ice Protection – Ice. Land. It’s in the name! 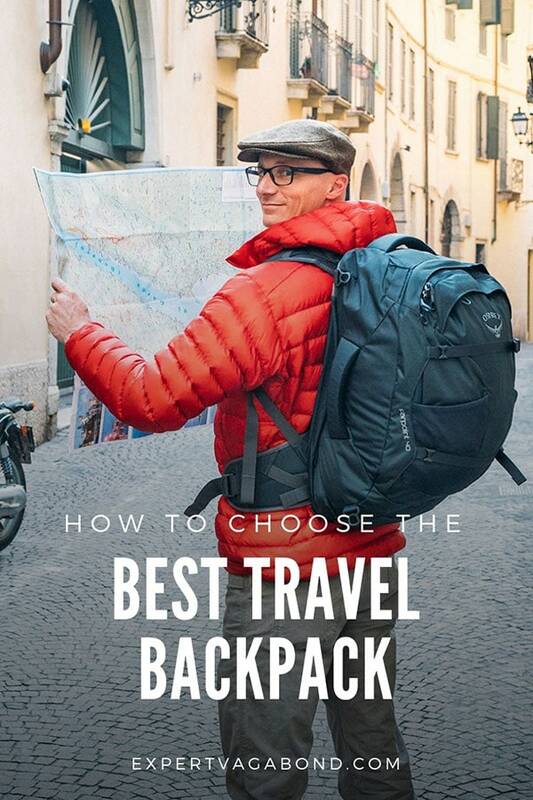 Get this add-on, especially if you’re traveling in the winter. Sliding off icy roads is a common occurrence in Iceland. River Crossing Insurance – Read the terms carefully. If it only covers water up to half of the wheel-well, you’re not protected for deeper crossings (which you’ll find plenty of on F-roads). You’ll also want to check if the rental company sets a mileage limit. Always try to get the unlimited milage option! 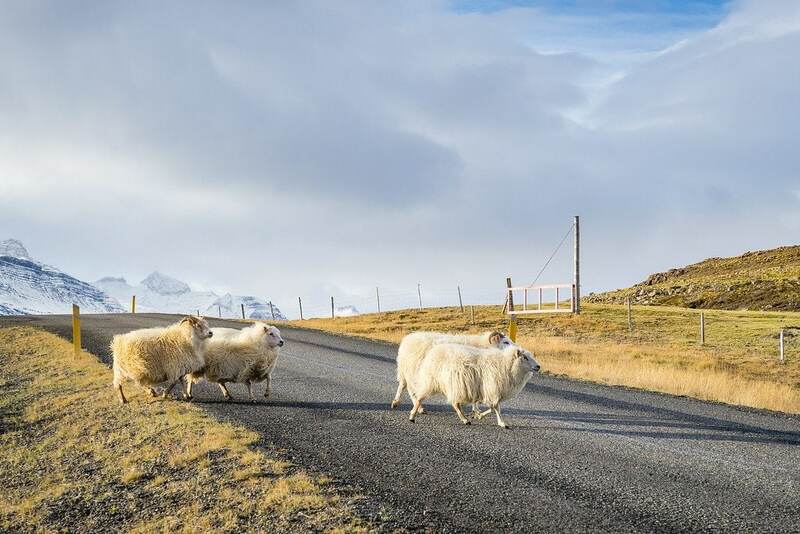 There are 3 types of large animals that may cross your path while driving in Iceland, and crashing into them will definitely ruin your trip. Iceland has a lot of sheep. In the summer, they’re allowed to roam free through the countryside, often walking across the road. Beautiful and funny Icelandic horses can sometimes be moved from one pasture to another via roadways too. If you’re driving in the remote North East of Iceland, you may see some wild reindeer in the winter. Reindeer were brought over from Norway in the 18th century, but were never domesticated. Remember to slow down and pass any animals near the road very carefully. You won’t see too many police cars on the roads driving around Iceland. 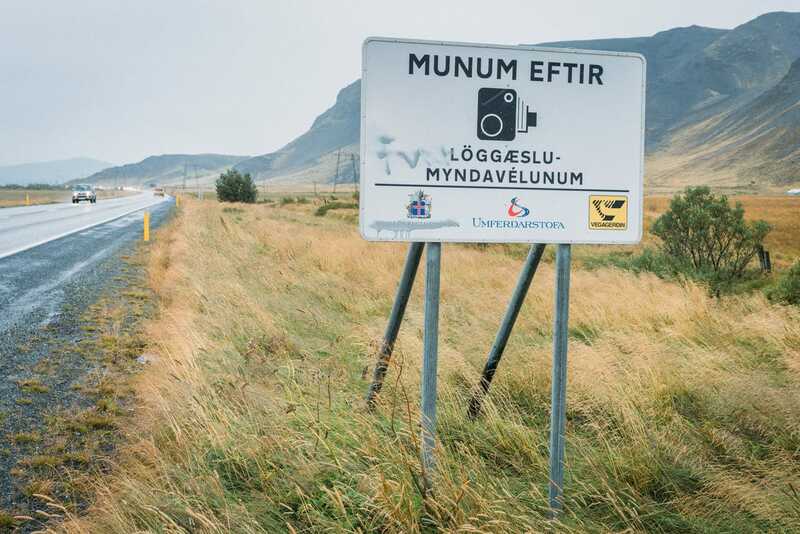 However Iceland does enforce its speed limit with camera traps. These nondescript boxes on the side of the road record your speed and take a photo if you’re driving over the limit, resulting in a steep fine. The speed limit in Iceland is 90km/h (55mph) on paved roads, 80km/h (50mph) per hour on dirt roads, and 50km/h (30mph) per hour in cities. Also note that seatbelts are mandatory in Iceland, and just good common sense anyway. Weather can get severe in Iceland from time to time, especially in the winter. So severe, that 70mph wind gusts have been known to blow open car doors backwards, bending the hinges or ripping them off completely! To prevent wind damage try to park your car facing the wind, pushing the door closed, not open. Crack your window first, and stick your hand out to test wind strength, then slowly open the door with two hands. Don’t assume you can handle driving through an Icelandic snowstorm just because you grew up in New England, because the weather can be VERY different here. Weather changes quickly in Iceland, and a sunny morning can easily turn into a snowstorm later that day. Iceland has a fantastic website to check real-time road conditions called Road.is. They even have a handy smartphone app. Gas stations in Iceland are scarce once you get further away from the cities but spread out across the island. Be sure to fuel up before setting out, and refuel often — try not to let it fall below half a tank. You’ll find plenty of gas stations on the Ring Road until you reach the more remote Eastern and Northern parts of the country, where they start to thin out. Fill up more frequently out there. Iceland is a remote island, without a lot of people/cars. At about $2 USD per liter ($7.50 USD per gallon), gas for your road trip is going to be expensive. Diesel isn’t much better right now, so check the prices and plan accordingly. USEFUL TIP: If you’re up in the highland’s driving Iceland’s F-roads, it’s wise to bring a spare gas can. Many car rental companies in Iceland will try to up-sell you a GPS device for your road trip. However this is not needed if you have international cell service, or pick up a local SIM card at the airport or in Reykjavik before you embark on your journey. Maybe bring along a dashboard or windshield smartphone holder like I do, so you can use GPS maps hands-free while driving. Along with Google Maps, I’d also recommend downloading the Gaia GPS Hiking App, which will help you get around Iceland’s backcountry hiking trails, even if you don’t have cell service. Here’s a handy guide for using it. Many of Iceland’s roads lack breakdown lanes, or have small ones. However because the scenery in Iceland is so spectacular, tourists are constantly stopping on the edge of the road to take photos. Don’t do this! It’s not safe, and you might cause an accident. If you really have to get that amazing photo, keep driving until you find a proper turn-off, park, and walk back to that perfect spot. Even if it takes you an extra 10 minutes. That photo opportunity can wait a little, it’s simply not worth the danger of stopping in the middle of the road when there’s traffic passing by. Please be respectful of everyone else driving in Iceland. 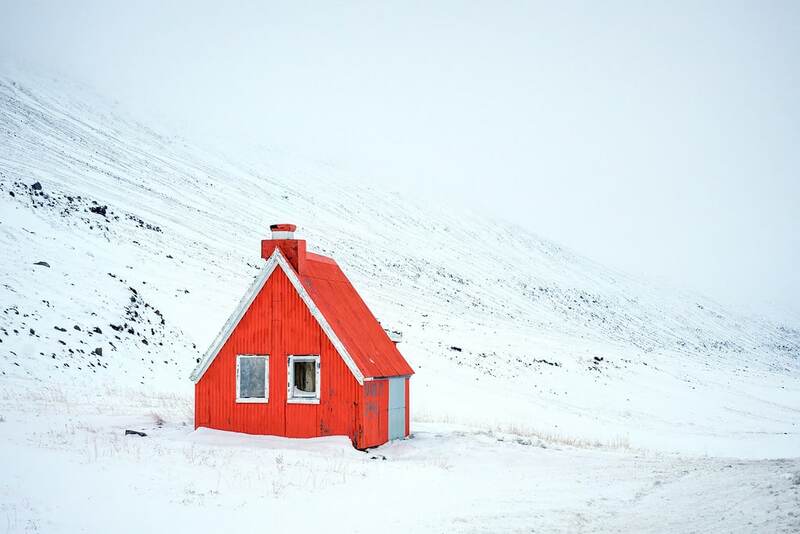 Even though Iceland is becoming a very popular tourist destination, parts of it are still pretty remote. Between large towns, you could be driving for a while before you’ll find regular civilization. With this in mind, it’s wise to pack extra food, snacks, and water for your road trip. I’d also make sure you have proper clothing for cold weather and stormy conditions, warm and waterproof layers. Sturdy shoes or hiking boots too. A first aid kit is always a great idea, here’s the one I travel with on my frequent adventures around the world. You never know when it will come in handy. So, you’ve packed a tent in your car, or you’re driving a camper van. You assume it’s legal to camp anywhere you please on this beautiful island. But should you? Can you legally camp anywhere in Iceland? 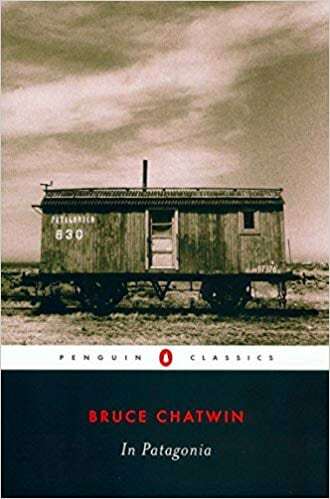 “Camping with no more than three tents is allowed on uncultivated ground for a single night, unless the landowner has posted a notice to the contrary. However, campers should always use designated campsites where they do exist. Do not camp close to farms without permission. If a group of more than three tents is involved, these campers must seek permission from the landowner before setting up camp outside marked campsite areas. There are also protected areas in Iceland where you definitely may NOT camp. For a complete list of protected locations and descriptions of when to ask permission, visit the camping rules page. Please use a designated campsite when it’s available. With more than three tents or driving a campervan, ask permission of the landowner. Avoid protected areas. If you do choose to camp outside designated areas, please follow the rules above, and leave no trace of your presence behind — so Iceland stays beautiful for locals and future travelers. Every year tons of unprepared tourists get stuck or slide off the road due to Iceland’s winter driving conditions. I was hit with 2 snow storms during my 3 week trip during October/November. Part of the problem is many people don’t have any real winter driving experience, or they over-estimate their abilities. Getting your rental car stuck in the snow or ice is a very real possibility during winter in Iceland. Do you know how to get yourself out? Clear snow away from your tires, using a shovel or hands and feet. Straighten your tires, rock the vehicle back and forth, shifting from drive to reverse. Create traction under your tires using dirt, sand, branches, granola, floor mats, anything you can find. Always fill your gas tank when possible, especially in the winter. Getting stuck in a snowstorm and spending the night in your vehicle is a remote possibility. Without gas to keep it running (and warm), things get dangerous quickly. When driving through heavy snow, try to stay inside the tire tracks. Drive slowly, and carefully move over to the edge when passing oncoming traffic. While driving Iceland’s remote & rugged F-Roads is not technically driving off-road, basically you need to think of them as exactly that. These roads are extremely basic, and not really maintained. In the United States, they’d be called “jeep trails” or “fire roads”. So the same kind of safety concerns apply. You are on your own out there. No gas stations, no towns, no tow trucks. If you get a flat, get stuck in the mud, or your engine breaks down, it could be a while before someone passes by who can help. It’s forbidden to drive Iceland’s F-Roads without a 4X4 vehicle due to the rough conditions. Traveling in pairs with a second vehicle is highly recommended, in case one of you breaks down. F-Roads are only open during the summer months, generally June – September (or first snow). Some don’t open until July. If you’re driving the paved Ring Road or Golden Circle, you’ll have normal bridges (although some are one-lane). However if you’re traveling to Iceland’s interior highlands on the dirt F-Roads, you may encounter a few rivers without any. Crossing a river in a 4X4 truck requires a bit of planning. If you’ve never done it before, here are some tips. Know where your vehicle’s “water line” is (maximum depth). Going past it may result in damage. Try to cross glacial rivers early in the morning, when the flow is lower. As the day heats up, the river gets more powerful/deeper. Shift your vehicle into 4X4 “low” before you start to cross, not in the middle of the river. Drive slow and steady through the current. Don’t drive too fast or “splash” into the water (it could kill the engine). Drive diagonally downstream, so the current helps push you across. Stick to the marked crossing points, and don’t assume it’s always safe to cross. Try to watch someone else go first. 112 is the only emergency number in Iceland. This is what you’d call to report any bad accidents, fire, crime, search & rescue, or natural disasters. 112 can be reached from anywhere in Iceland, from any telephone, by voice or by SMS text message. Another great resource is the 112 Iceland App, that lets you “check in” before going on a hike or doing anything risky, to help provide location information if something goes wrong later. If it’s not a life-or-death emergency, like your car breaks down or you get a flat tire, then contact your rental car office for help. If you break down and you’re not exactly sure where you are, please don’t leave your car. Stay with your vehicle until someone passes by who can help. 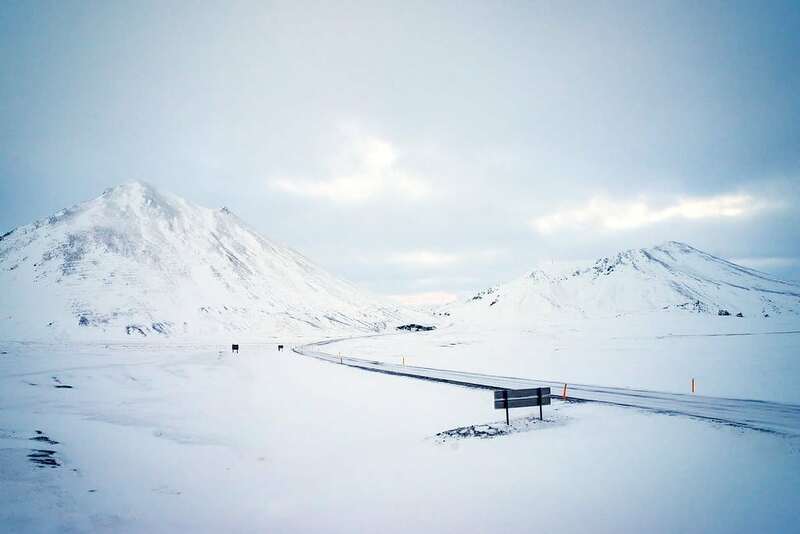 Iceland’s F-Roads are patrolled by search & rescue teams who check for stranded drivers on a semi-regular basis. I hope I didn’t scare you too much about driving in Iceland. It really is worth the extra effort to rent a car and drive yourself! 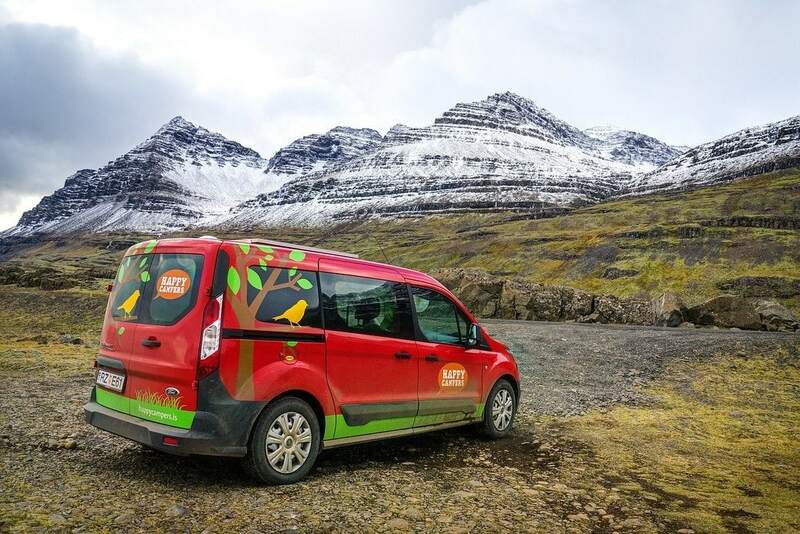 Regardless of which vehicle or road you choose, one thing’s for sure — renting a car in Iceland gives you the freedom to set your own path and reach stunning locations off-limits to the typical bus tourist. It also lets you do it at your own pace and in a style that suits you. And besides, how do you expect to hunt for elves or the incredible northern lights from your hotel room in Reykjavik? Any questions about driving or renting a car in Iceland? Are you planning a road trip there? Drop me a message in the comments below! Nice post. Matthew, what would be the best time to travel in Iceland. I hear that July is the only time when weather is “acceptable”. But may be the other periods have their charm. I would like to emphasize your point about driving off-road. That is STRICTLY forbidden and you will get a hefty fine if you do. Also, you mention single lane bridges. They are unfortunately to common. Be cereful when driving in Iceland. The roads are narrow and dangerous. There are to many tourists dying in Iceland. We want them to experience our beautiful country, but not to leave in a coffin. This is great advice, Matt, thanks for sharing it! Iceland is high on our list of places we are eager to visit soon, so I’ll definitely bookmark this and refer back to it when we begin to plan our trip. Driving is the way we’ll want to go, though I’m not sure how adventurous we’ll get with going off-road. You don’t need to get too adventurous on the F-Roads in Iceland, some are just dirt roads and aren’t too bad. Others can be pretty rough… you simply need to do a bit of research. Each F-Road is numbered, so that helps. Great read! I’m planning a trip to Iceland in December and this is incredibly useful! Hahaha I love who you included an Elfis video at the end of the post, Elfis is the best! Those videos are pretty fun. Good point about the sun, I remember that happening to me as well. And getting caught in heavy snow storms was tough for visibility too. It can really test your driving abilities! I am spellbound. Looks so scintillating. The captures are amazing. Cheers! Iceland is a beautiful country for going on a road trip! Perfect timing with this post! I’m heading to Iceland next month. Super helpful driving tips, I hope I get to see reindeer! Nice Jeff, have fun in Iceland! I think the reindeer stay in the highlands during the summer, and only show up near the Ring Road in the winter time. But who knows! Just don’t hit one… haha.